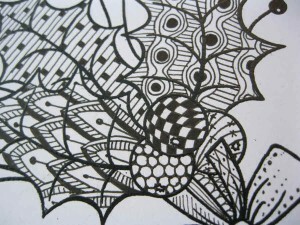 You all know by now how much I love my zentangling! Well of course I knew this stamp would be perfect to zentangle designs into. I’ve tried out some new designs this time – some I made up, some I found on my travels online. 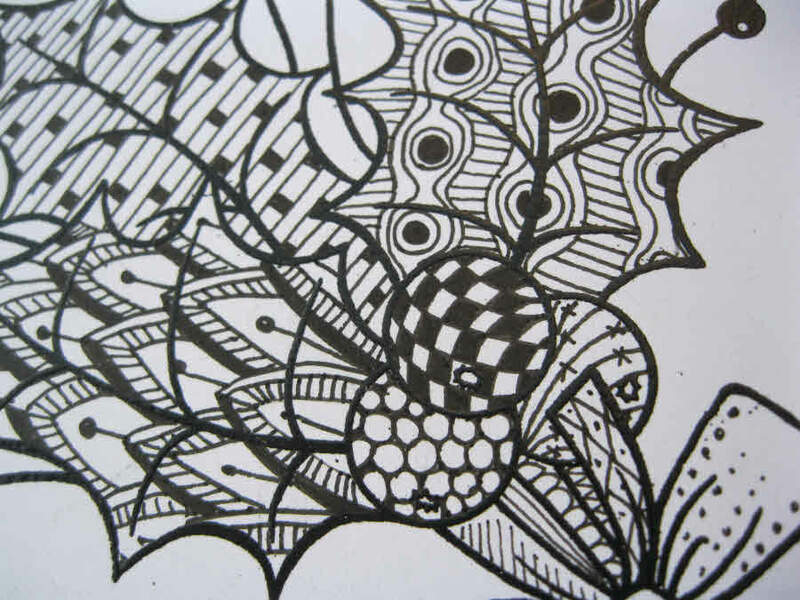 I like to work with a black heat embossed outline when I zentangle if I can as I find it gives a really nice definition to my design and also makes it easier to stay within the lines with my tangles. Back again tomorrow with one final sample (for now!) 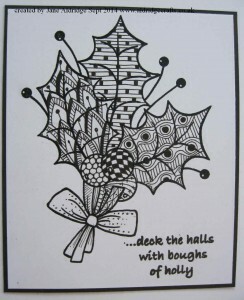 with the Bubble Bloom Festive Tree… but I still have more ideas to create with these stamps yet!